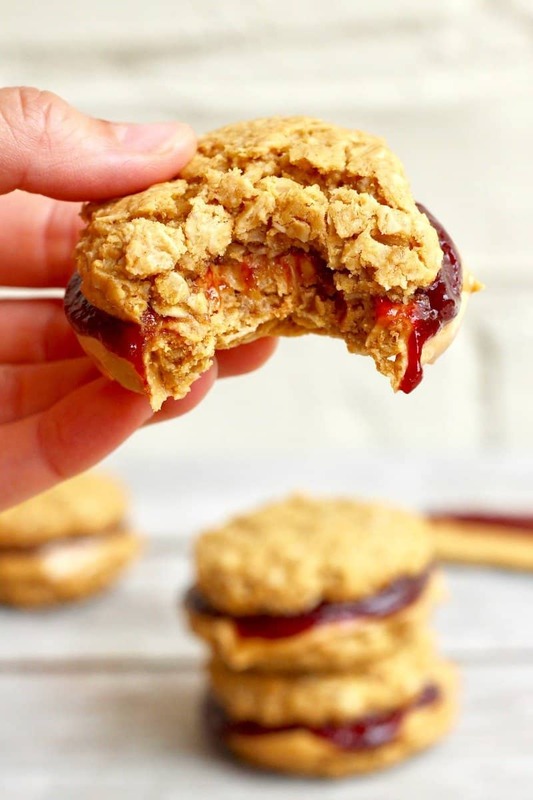 These Peanut Butter & Jelly Cookie Sandwiches are a fun and healthy twist on the classic PB&J sandwich that your kids will go crazy over! 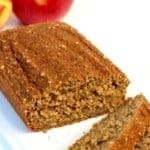 They make for such a great breakfast, lunch or after school snack. 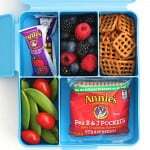 It’s that time of year when we dust off those backpacks and lunch boxes in preparation for back to school! It’s such an exciting and busy time for all. 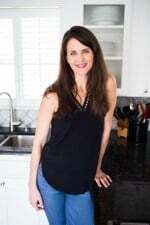 As back to school time approaches each year, I start thinking of ways to make breakfast quicker, lunch packing easier and after school snacks fun yet filling and healthy. 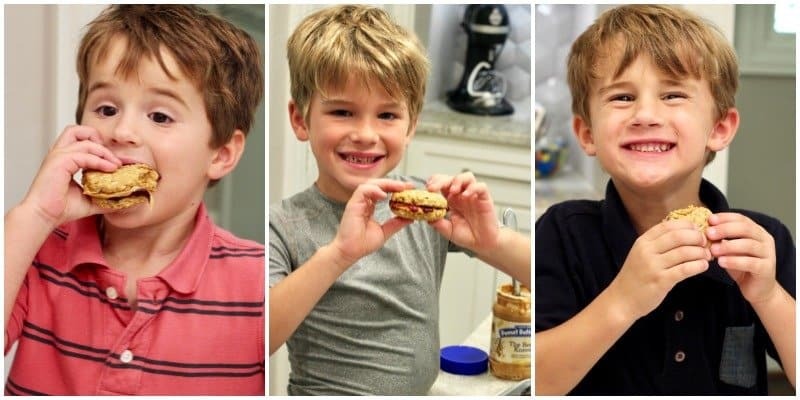 So when Peanut Butter & Co. and Crofters Organic reached out to me about partnering to create a yummy PB&J recipe for all of you fellow parents looking for back to school inspiration, I was ready and willing. 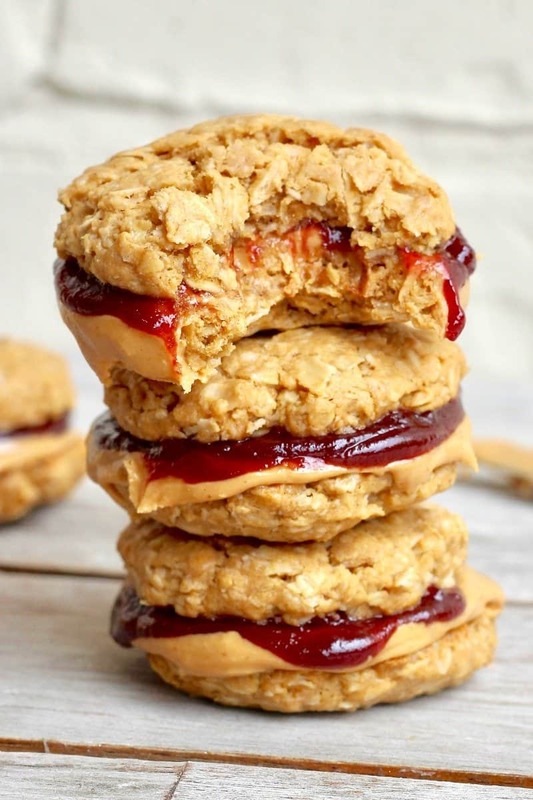 These Healthy Flourless Peanut Butter & Jelly Cookie Sandwiches are everything we need and more this time of year. 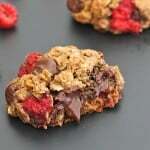 They’re easy to make, they’re healthy and most importantly, they taste amazing!! Baker was so excited when I told him about this recipe because he’s my only one who’s not crazy about a classic PB&J. He loves peanut butter and he loves jelly, but he’s just over having them sandwiched between two slices of wheat bread. How is that possible? PB&J is supposed to never get old, right? 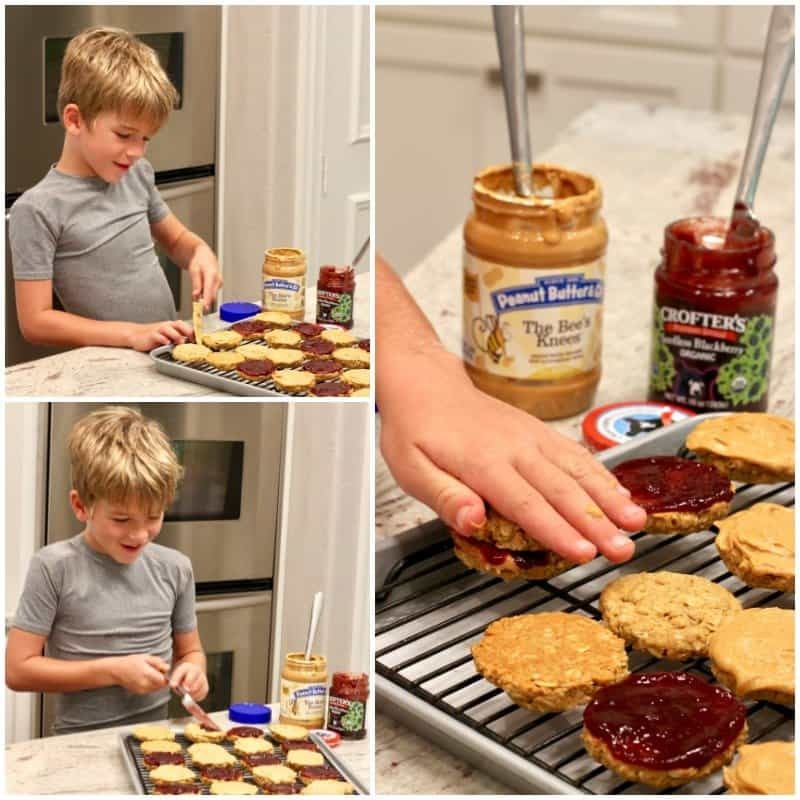 Oh well, maybe he’ll come around again one of these days, but for now, he’s so pumped about these Peanut Butter & Jelly Cookie Sandwiches. 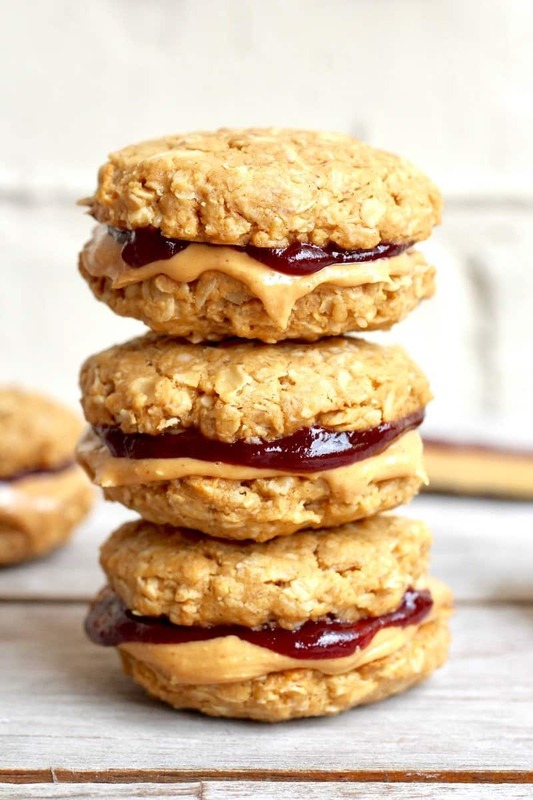 I mean we’re talking cookies instead of bread that are made with Peanut Butter & Co.’s The Bee’s Knees peanut butter which is so creamy with a dreamy hint of honey throughout. Mmmm…mmmm! Baker loves helping me make these! Using a knife to spread the peanut butter on half the cookies and then the fruit spread on the other halves is such a highlight for him. Such a big boy! They grow too fast. I hope they make your family happy and your life a little easier now that school’s back in session! This post was created as part of my partnership with Peanut Butter & Co. and Crofters Organic however thoughts and opinions are certainly my own. 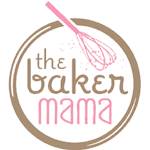 Thank you for supporting the brands that make The BakerMama possible. In the bowl of an electric mixer fitted with the paddle attachment, beat 1 cup peanut butter with ½ cup honey until smooth. Beat in the egg until well combined. Add the oatmeal and baking soda and beat on low speed until just combined. 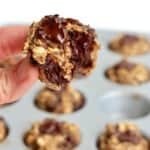 Using a ½ ounce cookie scoop, drop heaping one-tablespoon sized portions of dough a few inches apart on the prepared baking sheets. Flatten the top of each scoop of dough with the top of your hand. Bake cookies for 7-8 minutes or until they are set and just start to crack a bit on top. Let cool on cookie sheets for a few minutes before transferring to a wire rack to cool completely. 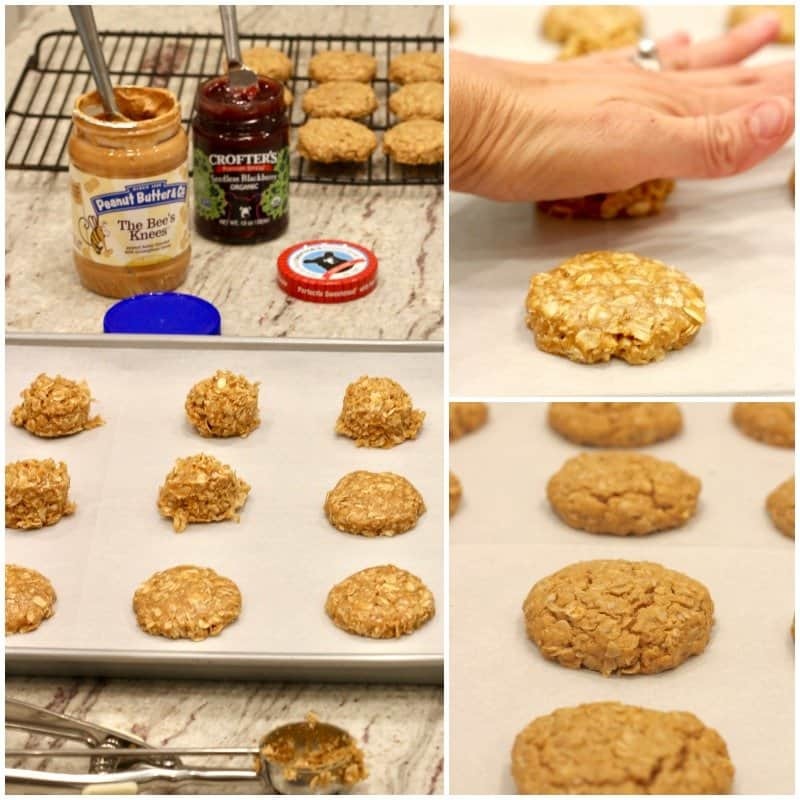 Once cookies have cooled completely, turn them all over and spread the bottoms of half with a little over a teaspoon of peanut butter and the bottoms of the other halves with a little over a teaspoon of fruit spread. 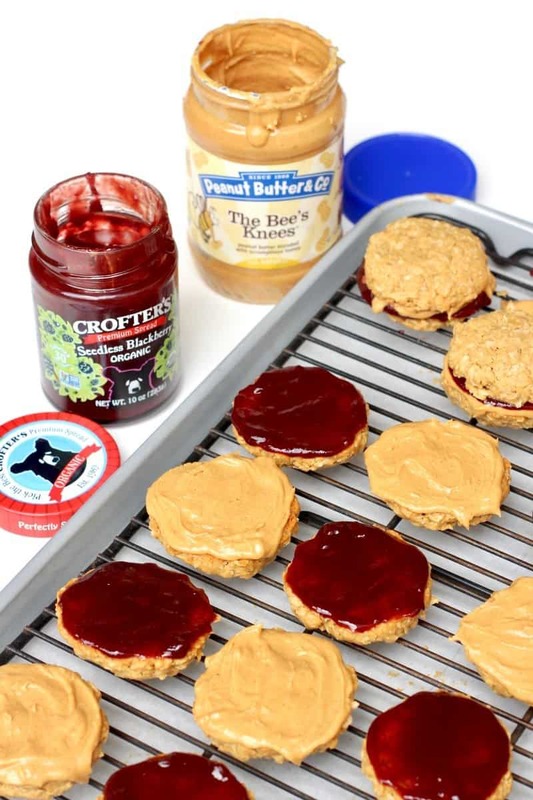 Place the cookies with fruit spread on them upside down onto the peanut butter of the other cookies to create a peanut butter and jelly cookie sandwich. Loved all of them. But can you bake something eggless for people with egg allergies. Hi Zinal! Thanks for your kind words. I usually recommend substituting 1/4 unsweetened applesauce for each egg when baking. Hope this helps! Hi, Maegan! The cookies look so yummy! Congrats. But, with this recipe, how many single cookies can I make? Hi Bruna! The recipe makes about 24 single cookies. They’re so yummy! Enjoy! Hi, do these freeze well? Hi Michele! Absolutely, I just recommend storing each one in a separate freezer-safe bag. Enjoy! 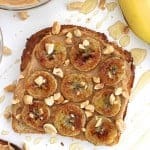 can I use stevia instead of honey? Hi Canelyn! I don’t have experience baking with stevia so I couldn’t say for sure. 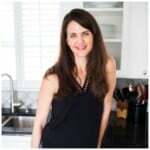 I know that stevia is much sweeter than honey so you would want to keep that in mind when substituting as not to make the cookies too sweet. I hope they turn(ed) out great for you! Are the cookies hard ie soft? Hi Rosey! They’re soft and chewy. Enjoy!